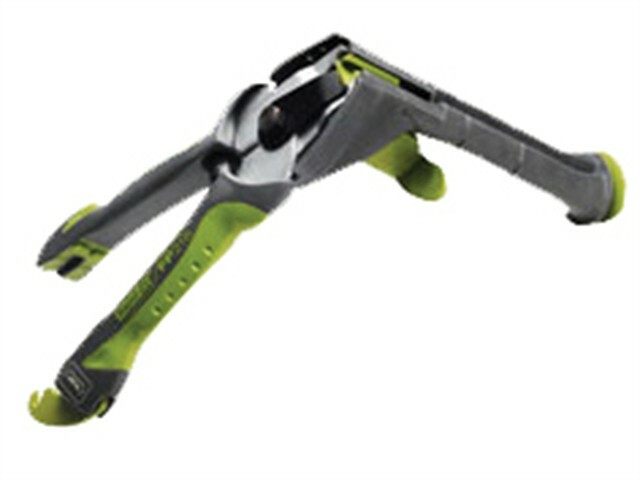 Rapid FP216 Fence Pliers are part of the 'Smart Gardener' range of wire fencing pliers designed for fitting fencing to narrow spaces on large surfaces, for example, animal cages. The ergonomic soft grip handle and long magazine will allow you to fix secure fencing around the house and garden quickly and easily. The handle locks for safety and storage. Uses VR16 hog rings 2-8mm.